ENRP is a unique group of graduate students, faculty and researchers who share a deep concern for the development and application of interdisciplinary approaches to the stewardship of ecosystems. The Environmental and Natural Resources Policy (ENRP) doctoral program is an interdisciplinary Ph.D. program in that it combines social science (especially policy) with biophysical science. The problems we study are grounded in the biophysical world, most specifically with the human impact on biophysical systems and vice versa. Investigating these problems requires scientific understanding of the interconnections between ecosystems and social systems; the skills developed in the ENRP program help our graduates to creatively and appropriately design managerial and policy solutions, as well as conduct research studies. Students in ENRP work with their major professors and committees to plan their coursework and dissertation research, as detailed in the Handbook (link below). Coursework in the program includes emphasis in areas including biophysical science, social science, research methods, and advanced natural resource and environmental policy. The interdisciplinary nature of the ENRP program brings with it a unique administrative approach: faculty from several departments cooperate to deliver the ENRP doctoral program as an area of study within the Graduate Program on Environmental Science, under the Division of Environmental Science. Note for Prospective Students: You may also want to explore other ESF graduate programs offered through the Department of Environmental Studies, Forestry and Natural Resources Management and through the different areas of study within Environmental Science. Graduates of the ENRP PhD area of study become successful researchers, educators, administrators, managers, and consultants, responding to the challenges related to the sustainable management of local, regional, and global resources. Skills developed in the ENRP doctoral program at ESF enable students to: think critically and independently; comprehend the processes of science and effectively apply scientific principles and professional procedures; attain proficiency in the current knowledge in their respective fields; develop competence in technical skills and tools required in their disciplines; demonstrate high standards of performance as scientists, educators, and professionals; and exercise ethical conduct in relationships with colleagues, other professionals, students, and the public. Dr. Sara Velardi completed her degree in 2018, with a dissertation titled, "A Call for Transparency in the Food System: Case Studies of State and Federal Genetically Modified Organism (GMO) Labeling Initiatives in the United States." While enrolled as a doctoral student, she was able to TA a variety of different classes, apply for grants, co-publish papers, and receive great mentorship from her advisor and other faculty on campus. After completing her Ph.D., she started a postdoc at the University of Maine, looking at scale challenges and opportunities for beekeepers and maple syrup producers in the state. Dr. Kyungsun Lee completed her degree in August 2018, with a dissertation entitled "Exploring Eco-Industrial Parks via a Technological Innovation Systems Lens: the Sustainability Transitions of Industrial Parks in Korea and Japan." 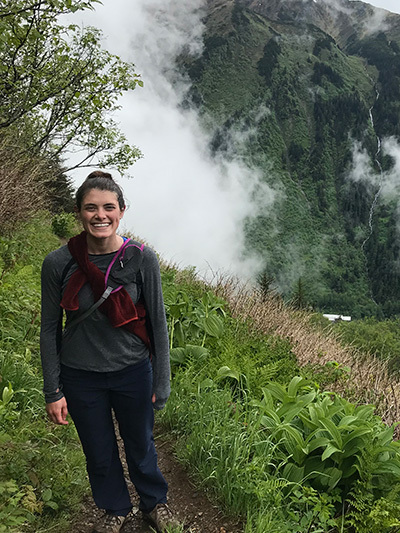 Her dissertation seeks to understand the social aspect of Industrial Ecology by exploring the trajectories of development and implementation of Eco-Industrial Parks in South Korea and Japan. Her dissertation project was supported by the Japan Foundation, Seoul National University, and SUNY-ESF. She is a Post-Doctoral Research Associate at Texas A&M University, and her current research focuses on the role of technology in sustainability transition of urban water governance. Kyungsun holds a B.S. in Chemical and Biological Engineering; and M.Sc. in History of Science, both from Seoul National University, South Korea. Dr. Lisa L. Greenwood is an assistant professor in Environmental Management at the Rochester Institute of Technology. She completed her Ph.D. in Environmental and Natural Resources Policy in 2017, and her dissertation is titled, "The Efficacy of Environmental Management Systems - ISO 14001: Effects of Motivations, Maturity, and Size on Environmental and Business Management Outcomes in U.S. Firms." Lisa has a B.S. in Environmental Management from RIT, and an M.S. in Environmental Engineering from the University of New Haven. She represents the American National Standards Institute (ANSI) in international standards development under ISO Technical Committee 207 - Environmental Management, and Chairs the US Technical Advisory Group (TAG) to ISO TC 207 Sub-Tag 1, Environmental Management Systems. Her advisor at ESF was Dr. Sharon Moran, and Dr. Greenwood's research focuses on implementation of systems for environmental management and social responsibility in industry as well as in communities. Dr. Lorena Ninel Estrada completed her degree in 2017, with a dissertation titled “Simplifying complexity: Assessing the construction and use of composite indices of climate change adaptation, with an application to northern and western Guatemala.” She investigated the construction and use of composite indices, and evaluated a climate change adaptation index developed in Guatemala. Lorena has a B.A. degree in Ecotourism from Universidad del Valle de Guatemala, and a master’s degree in Management and Conservation of Tropical Forests and Biodiversity from the Tropical Agricultural Research and Higher Education Center (CATIE) in Costa Rica. Her doctoral studies were supported by the Fulbright-Laspau program, SUNY-ESF, Syracuse University, and also the Institute of Research and Outreach on the Natural Environment and Society from Universidad Rafael Landívar (IARNA-URL), Guatemala. Lorena has been working for IARNA-URL since 2015 in assessing the impact of two projects on food safety and climate change adaptation, as well as the strengthening of public institutions related to food safety statistics. Dr. Matthew Bethurem completed his Ph.D. in 2016, with a dissertation titled, "U.S. Cities and Climate Change: Local-Level Response to a Global Environmental Problem." In it, he examined the range of actions taken by cities around the United States with regard to climate change, and the factors that lead some cities to engage with the problem while others do not. He is a visiting assistant professor in Environmental Science/Studies at Allegheny College. Matt holds a BA in Antiquities from Southwest Missouri State University, a Master's in Public Policy Administration from the University of Missouri-St. Louis, and a Master's in Public Health from the University of Missouri-Columbia. His current research interests continue to focus on local-level climate actions - including implications for environmental and climate justice -- as well as the polycentric and multi-level manner in which climate change is governed across scales. Dr. Renata Moreno-Quintero completed her dissertation in 2016, and it was titled, "Taming the Cauca River: inclusions and exclusions in wetland governance in Valle del Cauca, Colombia." She is currently a professor in the Ph.D program in Sustainable Regions at the Universidad Autónoma de Occidente, located in Cali, Colombia. Renata has a B.S. in Sociology from the Universidad del Valle in Colombia, and an M.S. in Social Sciences from the Universidade de Brasília in Brazil. The Ph.D program in which Renata currently teaches was developed in a partnership with ESF, and as part of the agreement between the two universities there is a teaching exchange in place that is expected to result in an upcoming joint research agenda. Her current research focuses on the consequences of urban sprawl and densification policies for environmental degradation and sustainability in urban contexts, as well as the environmental conflicts resulting from urban development processes. Dr. Bryan Comer completed his doctorate in 2016 with a dissertation titled "Air Pollution and Environmental Justice in the Great Lakes Region," in which he investigated the links between ambient air pollution exposure and socioeconomic and demographic factors (race, class, age, and education) in the Great Lakes region of the United States. Bryan has a B.S. and M.S. in Public Policy from the Rochester Institute of Technology. He currently works as a Marine Transportation Researcher at the International Council on Clean Transportation (ICCT) in Washington, DC. His work informs international and domestic policies that reduce the environmental and human health impacts of air pollution from ships and port. During his Ph.D. program, Bryan secured fellowships from the ICCT, the Great Lakes Commission, the NOAA Great Lakes Environmental Research Lab, and the Great Lakes Futures Project. Dr. Marvin Montefrio completed his degree in 2014 with a dissertation titled "Growing Low Carbon Commodities in Upland Philippines: Integration of Smallholders in Biofuels and Rubber Production Regimes." He is an Assistant Professor of Social Science (Environmental Studies) at Yale-NUS College, a liberal arts institution founded by Yale University and the National University of Singapore. While enrolled as a doctoral student in ENRP, his research was supported by the International Development Research Centre of Canada, and he also completed a Master's of Public Administration at the Maxwell School of Syracuse University. Marvin’s current research focuses on critical agrarian and food studies in Southeast Asia, with emphasis on the politics of knowledge production and the tensions between global “sustainability” discourses and the realities that rural communities face on the ground. In his spare time, he loves to travel and explore new food places with Yasmin  his wife who is also an academic  and his son Pepe. More about Marvin can be found at https://marvinmontefrio.com. Dr. Imran Khalid graduated with a PhD in Environmental and Natural Resources Policy (ENRP) in December 2014. He is currently working at the Sustainable Development Policy Institute (SDPI) in Islamabad, where he heads the water governance component of the multi-country Pathways to Resilience in Semiarid Economies (PRISE) project in Pakistan. In this context, Imran is focusing on identifying institutional vulnerabilities and analyzing the political economy of regions most vulnerable to climate change impacts, particularly flooding. Imran's graduate work at SUNY-ESF has contributed significantly to his personal and professional growth. He regularly represents his organization at national and international meetings and contributes to the broader dialogue on environment and sustainability. Dr. Thanh Vo is an Analyst in the National Oceanic and Atmospheric Administration (NOAA’s) Office of Program Planning and Integration, located in the Washington DC area. He completed his Ph.D. in Environmental and Natural Resources Policy in 2008 and began working as a specialist in of NOAA Headquarters in Silver Spring, MD as he completed his degree. In addition, he is participating in developing sustainability and environmental science programs for several Universities in Vietnam. Thanh's dissertation was titled “Living with change: Local knowledge, institutions, livelihoods and coastal resources in Tam Giang - Cau Hai lagoon system under context of institutional and global climate change,” and it examined coastal resource issues in Vietnam. He also works as a senior environmental scientist in IMSG, Inc. based in Rockville, MD. In other accomplishments, he has developed two environmental protection networks within Vietnam, served as the regional advisor for the Swedish Environmental Fund in Vietnam, coordinated and planning numerous environmental events in Vietnam and globally, and received numerous awards and fellowships, including the John A. Knauss Marine Policy Fellowship. Dr. April Karen Baptiste is an Assistant Professor of Environmental Studies at Colgate University. She completed her Ph.D. in Environmental and Natural Resources Policy in 2008 and has been awarded a one-year Ford Foundation Postdoctoral fellowship in the African American Studies Department at Syracuse University in the same year. Her dissertation was titled “Evaluating Environmental Awareness: A Case Study of the Nariva Swamp, Trinidad,” and her graduate studies at ESF were funded in part by a Fulbright grant. April’s research focus looks at environmental issues in the Caribbean examining the intersection between environmental psychology, environmental justice and natural resource management. Her latest research project is designed to examine the perceptions of different marginalized groups within the Caribbean to climate change and their methods of adaptations. More about her research, teaching, and service work can be found at http://aprilbaptiste.com. Dr. Lester Facey works for the US EPA in Washington, DC, and he is the National Program Manager for Minority Academic Institutions, through the Office of Diversity Advisory Committee Management and Outreach. Recently he has been on assignment in Togo, as a science embassy fellow, in collaboration with the State Department and US EPA. His assignment involves working with Togo's Ministry of Education to develop their STEM initiatives. He completed his doctorate (2006) in ENRP's predecessor program (Environmental Policy and Democratic Policy). His dissertation research was titled "Bauxite Mining in Jamaica: A Post-independence Study of the Environmental Policy." Passionate about environmental issues and policy in developing countries, particularly Africa. Hold a Bachelors degree in Agricultural Economics, a Master of Science degree in Environmental Economics and currently pursuing a PhD in Environmental Policy. Dustin Hill is a PhD student in the GPES program of Environmental and Natural Resources Policy. His bachelor's degree was completed at Le Moyne College in Syracuse, NY. Dustin's background is in environmental policy and undergraduate research examinined hydraulic fracturing and its impact on the surface landscape. Dustin completed his M.S. in 2017 at SUNY ESF with research focusing on both the sources of industrial pollution and the impact on communities and the environment. Current research is being conducted with Mary B. Collins in the ES department examining point source pollution across multiple industrial sectors over time. The role of field stations and biological reserves in place-based education, adaptive management and sustainable community governance. I hope to understand the process of environmental adaptation and integration of resettled refugees from a developing country and thus generate new knowledge on the subject. My special focus is on my own community - the Bhutanese-Nepali (Bhupali) refugees resettled in the US since March 2008.